WA is a digital version of a classic Wah Wah pedal. Great on acoustic and electric guitar, bass and a lot of other sources. To add the classic vocal-quality sound to solos, chords and rhythms. It just sounds right. Get it now in the Webshop. Or get it as part of PedalBench bundle. 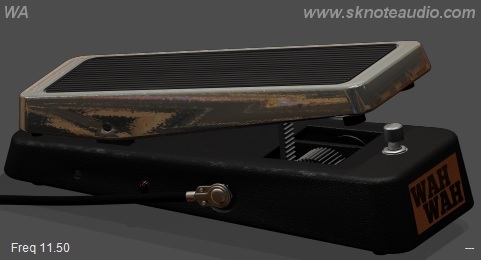 WA wah wah pedal – From the old times, the classic pedal controlled wah. With its “vocal” sound, a dynamic filter controlled by a pedal (or any MIDI controller) for realtime (or automated) control on guitar’s voice. DComp – The “standard” guitar/bass compressor with lots of attitude. One of the most sought-after guitar compressors, with its typical “twang” and strongly frequency-dependent response.